Steffen Schleiermacher has often fascinated his public with works by Morton Feldman. 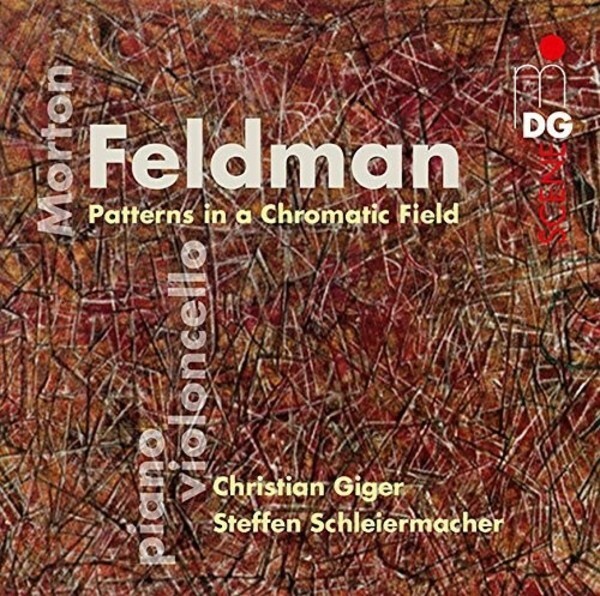 Along with Christian Giger, the solo cellist in the famous Gewandhaus Orchestra, he presents Patterns in a Chromatic Field � an extensive composition showing us the minimalist master's more entertaining side. Here highly virtuosic passages alternate with petrified soundscapes; now the instruments seem to melt, now their contrasting nature becomes the point of reference. While avoiding any sort of developmental idea, a tonal process of great suggestive power is produced over the course of some eighty minutes. In Feldman's work the musical material is also not greatly varied. Unlike the case in many other compositions by him, however, the technical demands placed on the musicians are enormous. Even after a few minutes Christian Giger and Steffen Schleiermacher succeed in casting their spell on their listeners. All expectations of a musical programme are thrown overboard in the interest of a contemplative venture. The result offers the public a unique listening experience occurring at a rather reduced volume � in what amounts to a purifying process.